David Oshinsky: You want to tell a narrative that has the power to reach beyond your colleagues and go to the general public—to reach well beyond the academic world into the larger world of the intelligent reader—and really connect the two. Hopefully, you add new material to a story. I mean, there’s no reason to write another book on polio unless you think you have something new to say. I will talk about two things that had a particular role in my decision to write Polio: An American Story. One was that the anti-vaccine movement was really taking off, and I thought that it was important for someone to write about a disease that had largely been wiped out in most of the world because of vaccines. The reason people don’t want to get polio shots is that they have never seen this particular disease; in other words, the vaccine has worked so well that it wiped out the memory of the agony and the fear that went along with it. Also, in researching the book, I came to believe that by the 1960s a sort of scientific arrogance had set in in relation to infectious disease—if you were to look at journals at that time or articles in newspapers, medical students were being told not to go into infectious disease. There was nothing left to discover: antibiotics had come in, vaccines had come in. “Go into chronic illnesses, go into cancer and heart disease,” instead. When you look sixty years later at the fact that nature is always a step ahead—you look at AIDS, Ebola, Marburg, SARS, the Avian flu, and now the Zika virus—you understand that this is an endless process. It’s a process that must continue, and a field that needs some of the brightest medical minds. What I was trying to do was show the arrogance on the one hand of medical science, which had basically closed the door on this particular field, and on the other hand an anti-vaccine movement that does not have the historical sense of what we had gone through years ago. I think those were the two major responsibilities. 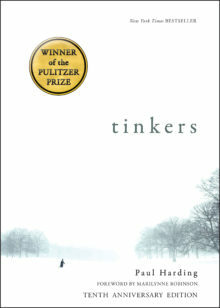 Paul Harding: One of the interesting things about writing Tinkers was using old family stories, my maternal grandfather’s family stories, about growing up impoverished in northern rural Maine in the earlier part of the twentieth century. The load-bearing dramatic premises of Tinkers are factual and one of these given facts of my family’s history is that my great-grandfather had epilepsy. He found out about his wife’s plans to have him sent to a place called the Maine Insane Hospital because they were so poor and she didn’t know what to do with him. Apparently, in the ’20s in Maine if you had epilepsy you would be a candidate for being taken to such a place. As a consequence, he found out about those plans and abandoned the family. So that abandonment resonated through the subsequent generations of my family—I think of it as the Book of Genesis or the Book of Exodus of our family’s personal mythology. I felt like it was nonnegotiable. I felt like I couldn’t not write about the epilepsy. Although, on the other hand, if it had been negotiable I never would have written about it precisely because one of the difficulties I wanted to avoid was thinking about how illness, and particularly an illness like epilepsy, has a number of popular narratives that surround it. I was worried about making the story of my characters vulnerable to misinterpretation because readers would bring to the text popular prejudice or popular ideas about epilepsy and seizure disorders. So the way that I ended up dealing with writing about epilepsy is I decided that I would not write about it objectively or in a clinical manner. It would never be a subject in and of itself; it would always be a predicate of the character who suffered from it. It’s always the character’s own account of having his experience, of having this disorder; it is experiential rather than objective. That lead to very interesting things. I didn’t do any research about epilepsy. The only thing I knew was that it was a kind of electrical disorder—neuroelectrics. Here I am, the poet: make up some words, don’t pay too close attention; you get the spirit not the letter. I knew it had to do with electricity, so I just started posing rhetorical questions to myself as my character: What it would be like to be struck by lightning? Then I would build up the character’s experience from there. One of the strange consequences of that is, since the book has been published, I have had dozens if not hundreds of people around the world who have epilepsy or seizure disorders, come up to me after readings saying, “I’ve never read a more accurate description of what it’s like to have a grand mal seizure.” To which I can only humbly respond, “Go art!” It was an interesting experience, a very intuitive experience, imagining my way into an authentic portrait of that disorder. DO: In Polio, I was writing about illness, but I was also writing about an epidemic. The difference is that when you are writing about an epidemic that comes back year after year, there is a kind of national bewilderment; there is a fear, an anxiety. I was trying to show a series of narratives both on the personal level and on the national level that pushed this so-called polio crusade forward. What was really extraordinary to me was that this was a disease that, in terms of numbers, had far fewer victims than childhood cancer, even accidents, and yet it became a sort of national disease. I was trying to figure out in the book exactly how that occurs. Some of it obviously has to do with the fact that the President of the United States had it, and that makes for a whole different ball game, but there was something uniquely American about this crusade. This was a disease that in epidemic form began in the United States; it was largely a disease of the West in the twentieth century. And it was a disease for which American organizations used the model of Madison Avenue and advertising and all sorts of consumer gimmickry to sell this hideous childhood illness as something that could be dealt with: “If you give your money, we will give you the tools to end the disease.” The March of Dimes revolutionized philanthropy and how money is raised, they revolutionized scientific research, and in the end they gave us extraordinary vaccines. But the methods that were used by this organization are open to question, and I think what historians have missed is the dynamic, the pull of the various narratives, but particularly the narrative on why this disease was so important to conquer. PH: One of the things that I was struck by in reading Polio was how the narrative of polio fit into the eugenic understandings of race and class, and how it was first thought to be in the immigrant slums in New York City. It was almost a function of you’re from a bad race, you’re from poverty, which in itself was seen as a kind of moral liability. But despite trying to fit it into that narrative, the actual statistical data that kept coming back is that in perfectly prosperous places it was even more common. DO: That is absolutely true, that it is essentially a middle-class disease, for various reasons. What makes it so extraordinary to me is that this is occurring after World War II, at a time when America was really beginning to take over in medicine, consumer goods, manufacturing, militarily. And yet here in the midst of this Baby Boomer consumer society, a disease rears its head, which is largely the crack in the middle-class virtual window. It is really the disease that takes over the middle-class children of America. That is the great fear—there is no cure for it, there is no way to deal with it, and everybody is at risk—and the ability to play upon that metaphorically and scientifically was very, very great. PH: Probably being able to marshal philanthropy to that extent and in that manner was the function of it being a middle-class disease. Rather than if it had been a lower-class disease, it might have been not as prominent. DO: I think you are absolutely right. The gimmick of the March of Dimes, particularly when it began during the Great Depression, was they didn’t want a few contributions from the rich, they wanted millions of contributions from everybody. Nobody was too poor to give a dime to make a kid walk again. In doing that, they drew millions upon millions of people into this crusade. PH: As a fiction writer one of the platitudes that drives me crazy is, “The reason I became a fiction writer is because I’m a pathological liar.” To me, the essence of fiction writing is every sentence I write has to be true. Part of my life as a writer of fiction is pondering imaginative truth, and thinking a lot about the fact that people are in the habit of automatically equating truth with fact when that is actually not the case. Truth is experiential, it’s largely a matter of perception, and it’s open to discussion. What I find myself doing when reading your book, David, is imagining my way into the lives of people who had polio when nobody would have known about them otherwise. As a writer, there is this kind of moral or ethical imperative that I impose on myself to try to imagine my way into these lives that might otherwise pass by unremarked. In one way, as a writer of fiction, all I want to do is reproduce for my readers my own favorite and most profound experiences as a reader, myself. What are those moments when you finish a book, a chapter, a paragraph, or even a particular sentence, and you have to stop because you simultaneously realize what you’ve just read is absolutely true, you’ve always know it’s true, and you’ve never seen anyone put it into words before? What I try to do is directly immerse the reader in the character’s experience rather than telling it in secondhand as a sort of passed on narrative. You’re in the character’s actual experience and you recognize the human reaction to the character by kind of triangulating it with your own. PH: When I began Tinkers, I made this very determined decision not to do research partly because I had been working on a failed novel that was so historically remote—so geographically and culturally remote from my own experience—that I couldn’t write a single sentence without doing a month’s worth of research. I decided, “To hell with it,” and I turned back to Tinkers and thought, “Oh, it’s all family myth.” The momentum of that—I had the idiom right at my fingertips—just carried through. I was bound and determined not to do research. But the experience that I had to call upon, or recall upon—I never intentionally electrocuted myself—was once when I was in my late teens or early twenties, I laid hands on an ungrounded dryer or washing machine. I got a pretty good shock. I used that to imagine my way into the progressive states of being electrocuted. You can smell it, so I thought what did it smell like, what did it feel like; you know, my ears rang afterward, and there was that weird feeling of electricity. There’s usually X number of watts running through your body—so what happens if that voltage is doubled, tripled, quadrupled? I just imagined, applying it to fiction is what they call extending a metaphor. You keep getting to the next degree, and then you imagine what the next degree would be, and so on. DO: Obviously, I am a documentarian; there are archives. I would collect as much material as possible. The narrative means a lot to me. Not only am I telling a story, but I am also fitting it into a larger mosaic of stories. Fred Snite’s story was unique in that he had all the money in the world, but he had gone through enormous suffering and was seen by The March of Dimes as someone who could be trotted out. And he very willingly did it because he believed in the cause. Basically, when I put together a narrative of suffering I will try, as best I can, to find all the source material I can. Unlike Paul, I will do some reading about the disease itself to get a better idea of what is going on. Putting these mosaics together is very important and the way they were used by others is equally important. Another example would be the young boy from Oregon who became the first poster child for The March of Dimes. On posters, you basically see him throwing down his crutches and walking into the sunlight. What I found out was, this was a kid who would never walk again, but he was blond and blue-eyed, and he had an amazing camera presence. This was the sort of person that they would use. The other things that I used, which were extremely poignant, were letters that polio survivors had written to the president asking for his personal advice. Those were the days when Presidents actually answered letters, particularly from other “polios,” and Roosevelt would give them medical advice, he would be give them dating advice. It was extraordinary. I was using it as a device to talk about polio, but also as a device to have the kind of narrative that I thought would appeal to people’s sensibilities. PH: I’m interested in the obligations you have when somebody picks up your book, David. It is presented to them as a nonfiction book, so they expect it to be documentary-based. The truths you are trying to persuade the reader of are fact-based. When someone picks up a novel, there is a different set of rules. Sometimes those distinctions are false—the publishing house makes them up. You have books by writers like W. G. Sebald, where the nonfiction and fiction become coextensive, but you are still persuaded as powerfully. I was even thinking about the narratives that are motivating people within your book, the social Darwinistic ones: “You won’t be competitive, you will be crippled, you will be culled out of the herd if you have polio.” But then in the picture of the boy from Oregon, it’s almost like a revival meeting: “By the grace of God I will get through it or I won’t,” throwing his crutches away. It’s such a strange synthesis of different competing narratives. And which narratives appeal to which people? It’s fascinating. DO: It’s also obvious that this was a time when, medically, there were no rules around informed consent. Basically, Jonas Salk tested the polio vaccine in a home for the feeble-minded. These were perfect patients: they showed up, they never left, you could keep great records, you knew they were not going to disappear, and they did as they were told. So much of the polio story is about the scientific progression over time. What went on in the 1940s in terms of public relations and medical ethics was a world that is very, very different—our world is better now. You try to do as best you can, through a narrative, to recreate that world. PH: Make them up? No, in part this is an inexhaustible phenomenon. I feel that my life as a writer of fiction is largely to explore that idea of where we get truth from. When fact runs out, I start mostly with imaginative truth. I try to take the borders away from that. Every sentence that you write just needs to be true—that doesn’t mean it needs to be factual. When I teach, I let my students in on this secret: one of the great things about autobiography is it is subjective. What you are trying to do is make a truthful account of your experience of your life, which can instantly translate into the imagination. Mechanically, it could be as simple as, “To this day I’m not sure what the facts were, but to me it’s always seemed as if it was a trip on a river.” You’ve just transitioned yourself and the reader into the realm of the imagination, which is still a move that is made in total good faith of trying to penetrate into the truth of the experience. DO: In writing history, there has to be a trip and a river. 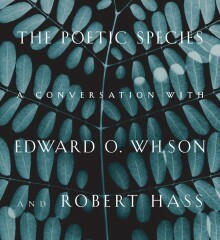 PH: Among the reasons that I’m a writer of fiction, not one of them is because it’s easy. I usually know that I’m onto a pretty good idea for a book if I feel like I am not good enough to write it when I think of it. That’s almost like quality control—you will become a good enough writer in the process of doing it. I like to experience the intellectual and aesthetic challenge of doing it. And then no matter what book you write, whether it’s fiction or nonfiction, someone is going to give you hell for it. One of the things I tell my students is, don’t write your book for bad readers. Don’t write your book for the people who are not going to like it. In my case, Tinkers takes its share of guff, and then the second book I wrote, Enon, is about a father who loses his daughter. With the subject of grief, you know you are going to run into all sorts of popular prejudice, for better or for worse. You are either going to break through that and the reader will accept the book on its own terms, or they won’t. In the case of Enon, I heard a lot of people talk about it in these terms: “He wrote a novel about grief.” I didn’t write a novel about grief; I wrote a novel about a man named Charlie Crosby who loses his daughter. A problem arises when somebody thinks of any book, nonfiction or fiction, in terms of grief. Greif is an abstract concept; there is no normative way to think about it. Because if grief equals X and Enon does not equal X, then Enon is not a good book. I want to keep the issue open and keep complicating it more and more deeply, so that nobody feels like they can have a conclusive word on it, preserving people’s rights to have their own subjective experience, without coercing people into thinking grief equals X. DO: I had a somewhat different experience in that dealing with polio: you couldn’t have more sympathetic records. These were young middle-class children, all of whom were at risk, and therefore parents just felt the need to protect them. It wasn’t like they were making a value judgment; there was no prejudice in that respect. The other thing that made talking about polio easy is that although it was a disease where 30,000-40,000 kids a year were paralyzed; it was an extremely visual disease. You look out at a room, no one knows who has a heart condition, but everyone knows who has polio. There were leg braces, there were wheelchairs, there were crutches. You would come back from school after a polio summer and there would be the empty desk of the kid who just hadn’t made it through the summer. The issue that Paul has described is one that I think about a lot, but had less resonance in this instance than in other instances. Now that I am working at NYU Medical School, I see that one of the things they are trying to teach medical students and house staff is empathy, to feel the pain of the victim. They are doing this in a world where seventy percent of what a resident does vis-à-vis the patient is in a different room at a computer. It’s not done at the bedside. That is probably one of the greatest problems that is facing the new generation of physicians: how to think about illness, how to conceptualize illness, how to understand pain. There is so much coming out of the computer now, that it has essentially taken away some of the humanity of wonderful people. And what we are trying to do is get that back. 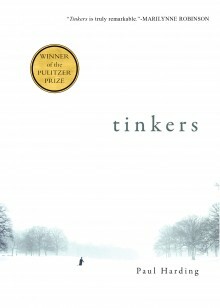 Paul Harding is the author of two novels about multiple generations of a New England family: the Pulitzer Prize-winning Tinkers (Bellevue Literary Press) and Enon (Random House). 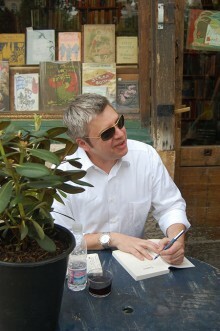 He has taught at the Iowa Writers’ Workshop, Harvard University, and Grinnell College. David Oshinsky’s books include A Conspiracy So Immense: The World of Joe McCarthy, Worse Than Slavery: Parchman Farm and the Ordeal of Jim Crow Justice, and Polio: An American Story, winner of both the Pulitzer Prize in History and the Hoover Presidential Book Award. He is the director of the Division of Medical Humanities at NYU School of Medicine. *This BLP Conversations series installment also appeared at the Literary Hub and can be viewed on YouTube.